Walter Schloss New Lows is a value investing strategy based on an approach used by Walter Schloss, who was a disciple of value investing legend Benjamin Graham. The strategy uses value and price factors as its main rules. It searches for companies that are trading below book value, using the price-to-book ratio, and at prices that are close to new lows. Schloss said: "We want to buy cheap stocks based on a small premium over book value, usually a depressed market price, a record that goes back at least 20 years?and one that doesn't have much debt." Between 1956 and 2000, Schloss's fund produced a compound annual growth rate of 15.7%. In a 1994 shareholder letter, Warren Buffett wrote: "Walter continues to outperform managers who work in temples filled with paintings, staff and computers. And he accomplishes this feat by rummaging among the cigar butts on the floor of capitalism." Deep value investor. 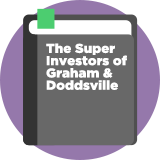 One of Buffett's 'Superinvestors of Graham-and-Doddsville'. Although his memoirs - "The Memoirs of Walter J. Schloss: A Personal and Family History" – are now out of print, there are various lectures and interviews by Schloss available online. Over an astounding 45 years from 1956 to 2000, Walter's fund earned a CAGR of 15.7%, compared to the market’s return of 11.2% annually over the same period, hence Buffett's reference to Schloss as a "super investor".